The refurbished New Road, Brighton is used by cafes as well as traffic. The local theatre and businesses have benefited. 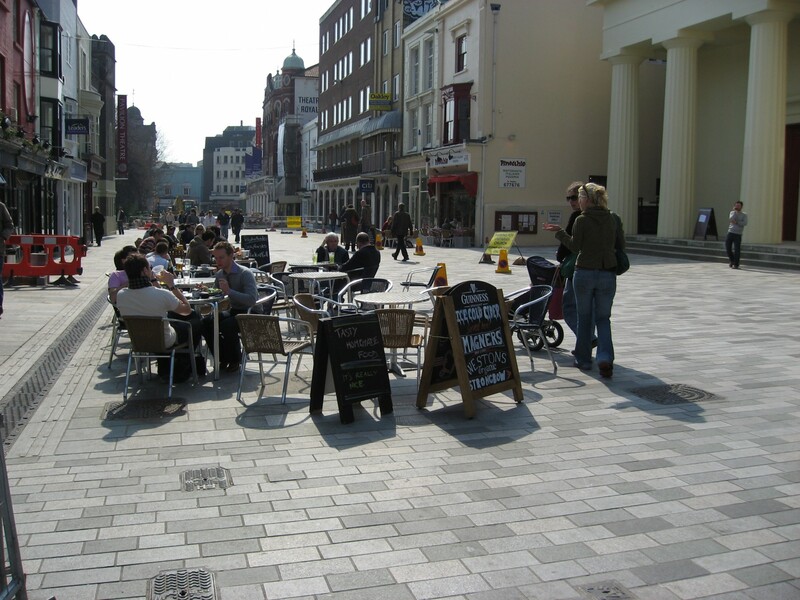 Streets can be totally refurbished, with new paving and street furniture. Or they can simply made more welcoming by reducing street clutter and creating better places for people to walk or linger. In either case business is helped.